This article is about the spice. For other uses, see Nutmeg (disambiguation). In low doses, nutmeg produces no noticeable physiological or neurological response, but in large doses, raw nutmeg—freshly ground from kernels, as well as nutmeg oil—have psychoactive effects, appear to derive from anticholinergic-like hallucinogenic mechanisms attributed to myristicin and elemicin. Myristicin—a monoamine oxidase inhibitor and psychoactive substance—can induce convulsions, palpitations, nausea, eventual dehydration, and generalized body pain when consumed in large amounts. Nutmeg poisonings occur by accidental consumption in children and by intentional abuse with other drugs in teenagers. ^ "Nutmeg and derivatives (Review)". Food and Agriculture Organization (FAO) of the United Nations. September 1994. Retrieved 29 October 2018. ^ a b c d e f g h i j k l "Nutmeg". Drugs.com. 2009. Retrieved 2017-05-04. ^ a b "Nutmeg spice". Encyclopædia Britannica Online. ^ "Nutmeg". www.clovegarden.com. Retrieved 2017-07-22. ^ "Mace spice". Encyclopædia Britannica Online. ^ Amitav Ghosh (December 30, 2016). "What Nutmeg Can Tell Us About Nafta". New York Times. ^ Dotschkal, Janna (2015-06-22). "The Spice Trade's Forgotten Island". National Geographic. Retrieved 2017-04-13. ^ Oulton, Randal (18 February 2007). "Nutmeg Graters". CooksInfo.com. Retrieved 8 April 2018. ^ Arthur L. Meyer; Jon M. Vann (2008). The Appetizer Atlas: A World of Small Bites. Houghton Mifflin Harcourt. p. 196. ISBN 978-0-544-17738-3. ^ a b Pat Chapman (2007). India Food and Cooking: The Ultimate Book on Indian Cuisine. New Holland Publishers. p. 16. ISBN 978-1-84537-619-2. ^ a b c "Description of components of nutmeg". Food and Agriculture Organization of the United Nations. September 1994. Retrieved 2017-04-13. ^ Abourashed, E. A.; El-Alfy, A. T. (2016). "Chemical diversity and pharmacological significance of the secondary metabolites of nutmeg (Myristica fragrans Houtt.)". Phytochemistry Reviews. 15 (6): 1035–1056. doi:10.1007/s11101-016-9469-x. PMC 5222521. PMID 28082856. ^ Piras, A.; Rosa, A.; Marongiu, B.; Atzeri, A.; Dessì, M. A.; Falconieri, D.; Porcedda, S. (2012). "Extraction and separation of volatile and fixed oils from seeds of Myristica fragrans by supercritical CO₂: Chemical composition and cytotoxic activity on Caco-2 cancer cells". Journal of Food Science. 77 (4): C448–53. doi:10.1111/j.1750-3841.2012.02618.x. PMID 22429024. ^ a b c d e f g h Ehrenpreis, J. E.; Deslauriers, C; Lank, P; Armstrong, P. K.; Leikin, J. B. (2014). "Nutmeg Poisonings: A Retrospective Review of 10 Years Experience from the Illinois Poison Center, 2001–2011". Journal of Medical Toxicology. 10 (2): 148–151. doi:10.1007/s13181-013-0379-7. PMC 4057546. PMID 24452991. ^ Crask, Paul (2017-11-05). Grenada: Carriacou and Petite Martinique. Bradt Travel Guides. ISBN 9781784770624. ^ Peter Lape; Emily Peterson; Daud Tanudirjo; Chung-Ching Shiung; Gyoung-Ah Lee; Judith Field; Adelle Coster (2018). "New Data from an Open Neolithic Site in Eastern Indonesia". Asian Perspectives. 57 (2): 222–243. doi:10.1353/asi.2018.0015. ^ "3,500-year-old pumpkin spice? Archaeologists find the earliest use of nutmeg as a food". EurekAlert!. Retrieved 4 October 2018. ^ Centre, UNESCO World Heritage. "The Historic and Marine Landscape of the Banda Islands – UNESCO World Heritage Centre". whc.unesco.org. Retrieved 2016-03-04. ^ Hanna, Willard (1991). Indonesian Banda: Colonialism and Its Aftermath in the Nutmeg Islands. Moluccas, East Indonesia: Yayasan Warisan dan Budaya Banda Neira. ^ a b Rebecca Furer (12 August 2011). "What is a Nutmegger?". Connecticut Public Radio. Retrieved 29 October 2018. ^ "Nicknames for Connecticut". Connecticut State Library. 2018. Retrieved 29 October 2018. ^ a b c Demetriades, A. K.; Wallman, P. D.; McGuiness, A.; Gavalas, M. C. (2005). "Low Cost, High Risk: Accidental Nutmeg Intoxication". Emergency Medicine Journal. 22 (3): 223–225. doi:10.1136/emj.2002.004168. PMC 1726685. PMID 15735280. ^ McKenna, A.; Nordt, S. P.; Ryan, J. (2004). "Acute Nutmeg Poisoning". European Journal of Emergency Medicine. 11 (4): 240–241. doi:10.1097/01.mej.0000127649.69328.a5. PMID 15249817. ^ "Herb and drug safety chart". BabyCentre UK. 2018. Retrieved 29 October 2018. ^ Charlotte Flint (2018). "Nutmeg Toxicity". Pet Poison Helpline. Retrieved 29 October 2018. The Banda Islands are a volcanic group of ten small volcanic islands in the Banda Sea, about 140 km (87 mi) south of Seram Island and about 2,000 km (1,243 mi) east of Java, and constitute an administrative district (kecamatan) within the Central Maluku Regency in the Indonesian province of Maluku. The main town and administrative centre is Bandanaira, located on the island of the same name. They rise out of 4-to-6-kilometre deep ocean and have a total land area of approximately 45.6 square kilometres (17.6 sq mi). They had a population of 18,544 at the 2010 Census. Until the mid-19th century the Banda Islands were the world's only source of the spices nutmeg and mace, produced from the nutmeg tree. The islands are also popular destinations for scuba diving and snorkeling. Cloves are the aromatic flower buds of a tree in the family Myrtaceae, Syzygium aromaticum. They are native to the Maluku Islands in Indonesia, and are commonly used as a spice. Cloves are available throughout the year due to different harvest seasons in different countries. Allspice, also called pimento, Jamaica pimento, Jamaica pepper, pimenta, or myrtle pepper, is the dried unripe fruit of Pimenta dioica, a midcanopy tree native to the Greater Antilles, southern Mexico, and Central America, now cultivated in many warm parts of the world. The name "allspice" was coined as early as 1621 by the English, who thought it combined the flavour of cinnamon, nutmeg and cloves. 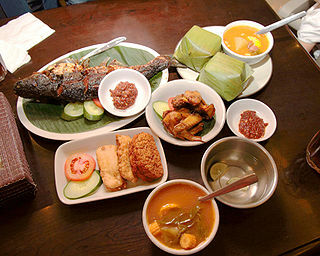 Indonesian cuisine consists of the various regional cuisines in parts of Indonesia; there are a wide variety of recipes and cuisines in part because Indonesia is composed of approximately 6,000 populated islands of the total 17,508 in the world's largest archipelago, with more than 300 ethnic groups calling Indonesia home. Many regional cuisines exist, often based upon indigenous culture with some foreign influences. Indonesia has around 5,350 traditional recipes, with 30 of them considered the most important. Indonesia's cuisine may include rice, noodle and soup dishes in modest local eateries to street-side snacks and top-dollar plates. Ras el hanout or rass el hanout is a spice mix found in varying forms in Tunisia, Algeria, and Morocco. It plays a similar role in North African cuisine as garam masala does in Indian cuisine. The name in Arabic means "head of the shop" and implies a mixture of the best spices the seller has to offer. Ras el hanout is used in many savory dishes, sometimes rubbed on meat or fish, or stirred into couscous or rice. The Myristicaceae are a family of flowering plants native to Africa, Asia, Pacific islands, and the Americas and has been recognized by most taxonomists. It is sometimes called the "nutmeg family", after its most famous member, Myristica fragrans, the source of the spices nutmeg and mace. The best known genera are Myristica in Asia and Virola in the Neotropics. Run is one of the smallest islands of the Banda Islands, which are a part of Moluccas, Indonesia. It is about 3 kilometres (1.9 mi) long and less than 1 kilometre (0.62 mi) wide. According to historian John Keay, Run is comparable in its significance in the history of the English overseas possessions as Runnymede is to British constitutional history. Chettinad cuisine is the cuisine of a community called the Nattukotai Chettiars, or Nagarathars as they call themselves, from the Chettinad region of Tamil Nadu state in South India. Chettinad cuisine is perhaps the most renowned fare in the Tamil Nadu repertoire. It uses a variety of spices and the dishes are made with fresh ground masalas. Chettiars also use a variety of sun-dried meats and salted vegetables, reflecting the dry environment of the region. Most of the dishes are eaten with rice and rice based accompaniments such as dosais, appams, idiyappams, adais and idlis. The Chettiars, through their mercantile contacts with Burma, learnt to prepare a type of rice pudding made with sticky red rice. Peranakan cuisine or Nyonya cuisine comes from the Peranakans, descendants of early Chinese migrants who settled in Penang, Malacca, Singapore and Indonesia inter-marrying with local Malays and combines Chinese, Malay and other influences. The old Malay word nonya, a term of respect and affection for women of prominent social standing, has come to refer to the cuisine of the Peranakans. The island of Saint Helena has been influenced by several European powers, by the inhabitants, and the ships passing through, during its history. This has affected the cuisine of Saint Helena, which now has a vibrant and international cuisine variety. Monodora myristica, the calabash nutmeg, is a tropical tree of the family Annonaceae or custard apple family of flowering plants. It is native to Angola, Benin, Cameroon, the Central African Republic, the Democratic Republic of the Congo, Equatorial Guinea, Gabon, Ghana, Guinea-Bissau, Ivory Coast, Kenya, Liberia, Nigeria, the Republic of the Congo, Sierra Leone, Sudan, Tanzania, Togo and Uganda. In former times, its seeds were widely sold as an inexpensive nutmeg substitute. This is now less common outside its region of production. Other names of calabash nutmeg include Jamaican nutmeg, African nutmeg, ehuru, ariwo, awerewa, ehiri, airama, African orchid nutmeg, muscadier de Calabash and lubushi. 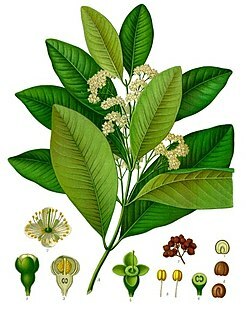 Myristica fragrans is an evergreen tree indigenous to the Moluccas of Indonesia. It is important as the main source of the spices nutmeg and mace. It is widely grown across the tropics including Guangdong and Yunnan in China, Taiwan, Indonesia, Malaysia, Grenada in the Caribbean, Kerala in India, Sri Lanka and South America. The cuisine of the Mizrahi Jews is an assortment of cooking traditions that developed among the Jews of The Middle East, North Africa, Asia, and Arab countries. Mizrahi Jews have also been known as Oriental Jews. Jews of the Mizrahi communities cook foods that were and are popular in their home countries, while following the laws of kashrut. The cuisine is based largely on fresh ingredients, as marketing was done in the local souq. Meat is ritually slaughtered in the shehita process, and is soaked and salted. Meat dishes are a prominent feature of sabbath, festival, and celebratory meals. Cooked, stuffed and baked vegetables are central to the cuisine, as are various kinds of beans, chickpeas, lentils and burghul. Rice takes the place of potatoes. 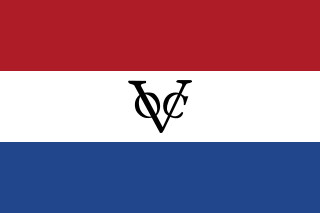 The Banda Islands were a governorate of the Dutch East India Company. The governorate comprised Banda Neira, Banda Besar, Pulau Ai, Run, Banda Api, and some smaller islands. Bumbu is the Indonesian word for a blend of spices and it commonly appears in the names of spice mixtures, sauces and seasoning pastes. Indonesian dictionary describes bumbu as "various types of herbs and plants that has pleasant aroma and flavour — such as ginger, turmeric, galangal, nutmeg and pepper — used to enhance the flavour of the food." Balinese cuisine is a cuisine tradition of Balinese people from the volcanic island of Bali. Using a variety of spices, blended with the fresh vegetables, meat and fish. Part of Indonesian cuisine, it demonstrates indigenous traditions, as well as influences from other Indonesian regional cuisine, Chinese and Indian. The island's inhabitants are predominantly Hindu and culinary traditions are somewhat distinct with the rest of Indonesia, with festivals and religious celebrations including many special foods prepared as the offerings for the deities, as well as other dishes consumed communally during the celebrations. This is a list of notable meatball dishes. A meatball is ground or minced meat rolled into a small ball, sometimes along with other ingredients, such as bread crumbs, minced onion, eggs, butter, and seasoning. Meatballs are cooked by frying, baking, steaming, or braising in sauce. 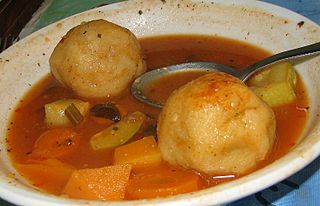 There are many types of meatballs using different types of meats and spices, and most cuisines have a version of the dish. Sometimes the beef stock in the gravy is replaced with 100% chicken gravy.